One of my favourite things about Summer is a trip to the airport, as much as I love going to new destinations it is the simple joy of browsing Duty Free that I look forward to most. Silly I know but it has been this way since I was a pre-teen. 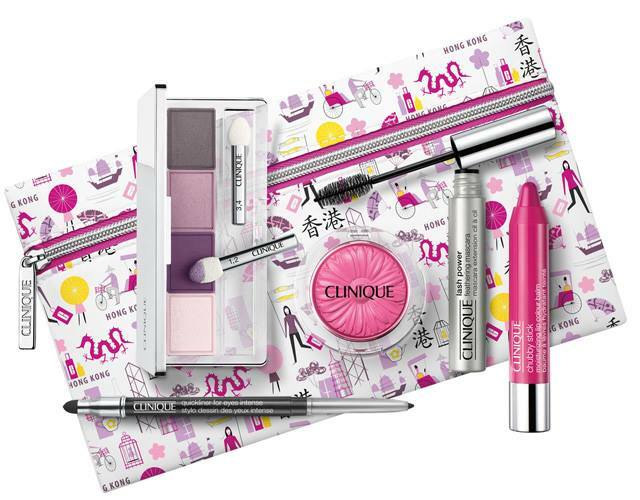 If you share a stance or simply love a bargain you need to look out for the newly launched Clinique Travel Boxes which have just hit Duty Free; four new city inspired travel exclusive kits, that contain five full sized Clinique products and a city inspired pouch. I was kindly sent the Clinique Travel Box Paris kit which contains five of the best selling Clinique's products according to sales in Paris, along with a face chart to show you how to best use the items. 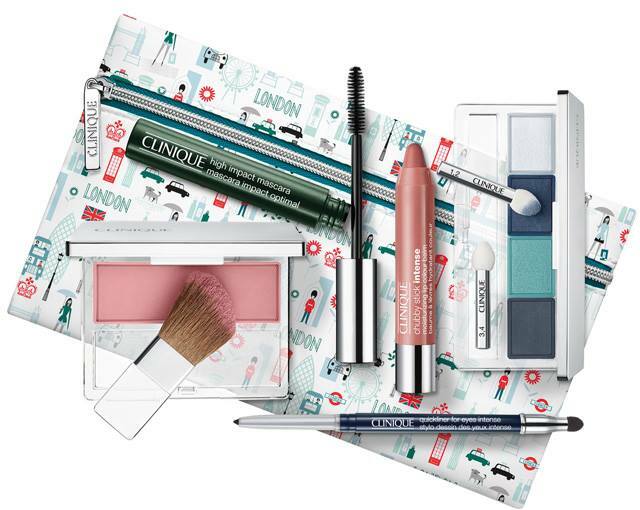 The three other Clinique Travel Boxes are of the same concept, only they feature items that the ladies and gents in New York, London and Hong Kong favour - neatly presented within a sweetly illustrated location inspired make up pouch. All four kits are available within most Duty Free locations and cost £55 each. As mentioned above each Clinique Travel Box will retail for £55 each (great value considering the full sized contents) and are exclusive to Duty Free locations, they are not location specific meaning you can shop all four boxes where available and they will be on sale until the end of the year. I love the look of the New York kit it's my kind of shades! Destination NY it is! :-) What a nice set! Actually, they're all very nice. aah these travel boxes look amazing! definitely loving the NY one! oohh I need to find someone who is traveling this summer to pick me up one or 2 or more. LOL. Capture & Design is me. I love the idea of this! It'd make packing makeup a lot lighter, ha! The packaging and makeup bags are really cute. Oh wow, the New York one has got to be my fav! Love the pouches, this is the first time I've heard about this! I'd definitely go for the New York one! What a cute idea - these pouches are so lovely. I LOVE the idea of these, such a fantastic aesthetic too! These travel boxes are so cute! I adore the NYC themed one. These boxes are adorable! I want them all! Those bags are SO cute! It's pretty hard to pick which is my favorite but I think I would have to go with the New York set. I really like the neutral tones and think it would help create a simple and fresh look. These are so cute, I love how there are different ones. I have to say my favourite is the Hong Kong one as I love purple and pink shades. Definitely need to get my hands on one of them. The bags are so cute! Aaaaah I want all of them! Maybe I'll ask my boyfriend to see if he can pick one up when he comes back from China...good thing I don't travel internationally often, or else that would be a lot of money out the door hahaha. Oh my goodness, how pretty!! I want it all! I'd definitely go for the New York set if I had to choose one! These boxes are really cute! I just bought two of the cheek pop blushes and I totally love them. That's really cool! I like how it comes with the face chart that so handy, all makeup should come with this. This is so cute and such a good idea! 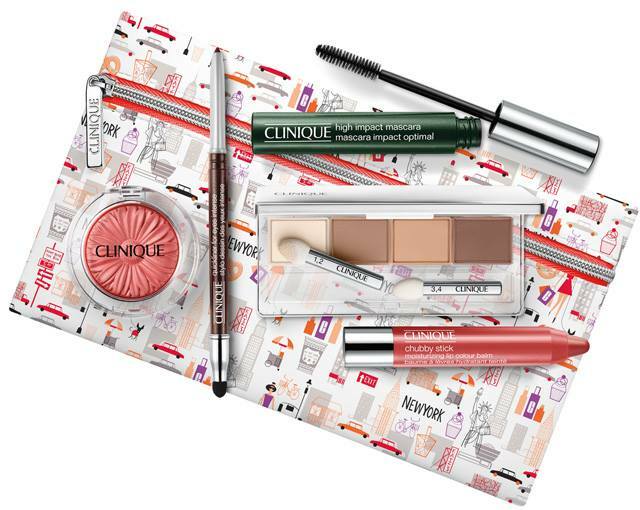 I love Clinique products so will definitely be bearing this in mind when I go away! these are gorgeous kits! I need one! Wow! Great kits & great value! I must say all the colors are really nice, would be hard to decide which one to get. The New York kit looks like my favourite!